Reading, Writing, Arithmetic … and Deer! I have no idea how long I’ve been absolutely captivated by whitetail deer. Some folks find that hard to believe. It’s as if they expect to hear about one moment, one day or one hunt that sent me over the edge for my passion. Now there’s a little bit of evidence to help me time stamp it! 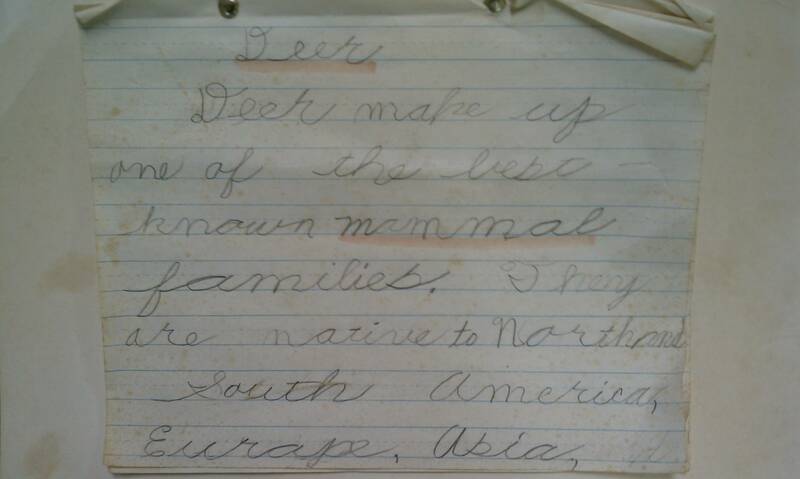 I can at least show that my infatuation with deer started as early as Second Grade at Immaculate Conception School. 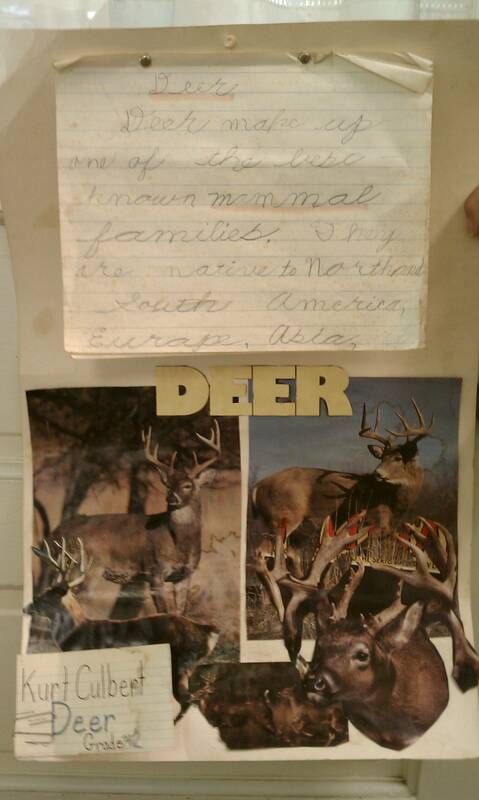 The presentation board of "Deer"
I stumbled upon a great piece from my childhood last week while on a short visit to my parents’ house in Western New York. My mom stashed away a research project I completed in Grade 2. It was … on deer. “Deer make up one of the best known mammal families. They are native to North and South America, Europe, Asia, and Africa. They have been introduced in Hawaii, Australia and New Zealand, and have made homes in these places. Deer belong to the mammal group called hoofed mammals. 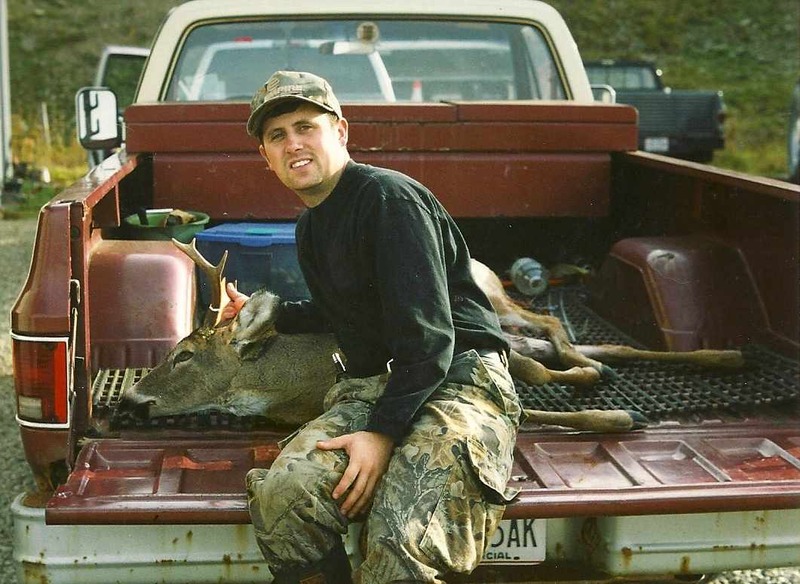 Deer range in size from about 20 pounds to more than 1,000 pounds. How in the world did this fantastic prose not make a run at a Pulitzer? I mean, is there truly anything else you need to know about deer? I’ll bet the early works of Drs. John Ozoga and James Kroll paled in comparison to my findings. What’s not known, though, is what Sister Cecelia thought. No grade could be found on the project.